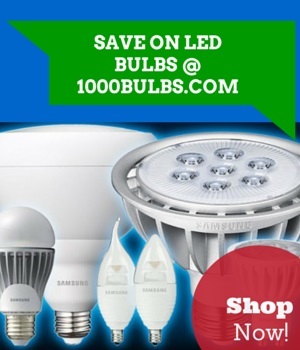 Want to save energy but don’t like CFL light bulbs? You’re not alone. CFLs are among the most efficient, commercially available lighting sources, yet these bulbs aggravate many homeowners and business operators. Despite technological improvements, some still complain that CFLs do not dim well, flicker, or cast an unappealing light. Fortunately, those who find themselves among those who do not like CFLs have an alternative in halogen light bulbs. Halogen bulbs offer a great deal of energy savings when compared with traditional incandescent bulbs. While slightly more expensive than their incandescent bulb counterparts, they offer a much longer life. The life hours of some infrared (IR) halogens are sometimes comparable to that of CFLs. Not only do halogen bulbs offer long life, they also dim just like incandescent bulbs. Dimming switches not only create a comfortable and appealing light level, they also save energy. Switching from incandescent bulbs to halogen bulbs will alone save 10-20% in electricity costs, but dimming can equate to energy savings of 50-60%. Further dimming puts less stress on the bulb’s filament and can easily double the bulb’s life, resulting in even more future energy savings. While CFLs are still preferred as energy-saving light sources, halogens can still be considered a suitable, if slightly less efficient alternative. To maximize savings, always dim light levels to the lowest comfortable setting and turn lights off when not in use.